Full, well-balanced wine with complex flavours of cherry cigar and violets, with a lingering aftertaste of dark chocolate and a smooth tannin. Calitzdorp is well known for quality wines and ports made from Portuguese varietals. 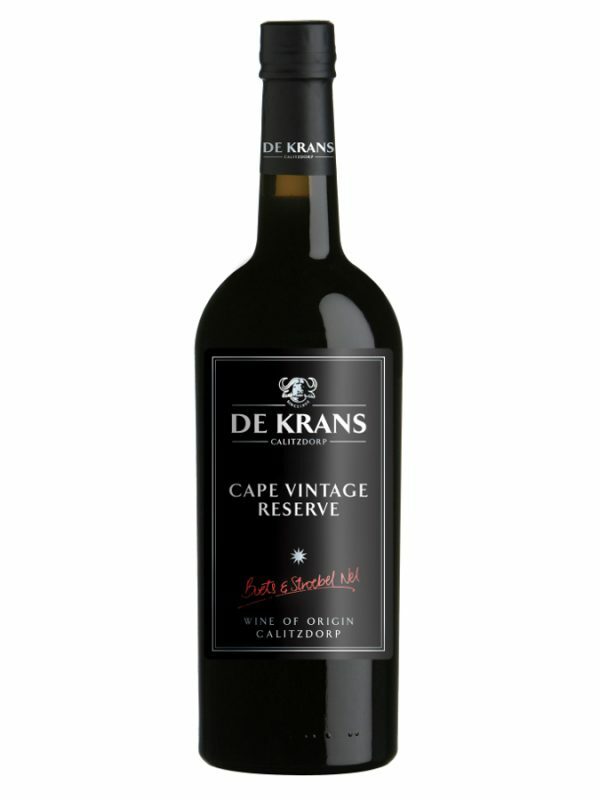 De Krans planted its first Touriga Nacional vineyard in 1994 and made the first single varietal wine in South Africa in 2000. The continental climate of Calitzdorp is like the dry hot climate of the Douro valley in Portugal where these vines originates from. Planted in shallow Karoo clay soils with east-west facing rows and micro irrigation these vines thrive under the hot dry Karoo sun to produce berries of world class quality. Grapes are hand harvested end February at 24o-25o Balling. Bunches are de-stemmed, crushed and rapidly cooled in an open fermenter. Grapes are inoculated with selected yeasts to start fermentation. Skins are then pressed, and the wine is left to undergo MLF before it is racked into 3rd and 4th fill French oak barrels for maturation in these barrels for 12 months. Colour: Beautiful deep, dark cherry red colour. Bouquet: Complex nose of dark berries, violets and cacao. Sweet dark cherries, white pepper and toasted oak. Taste: Full, well-balanced wine with complex flavours of cherry cigar and violets, with a lingering aftertaste of dark chocolate and a smooth tannin. Interesting unusual red varietal which lends itself to experimenting with food. Will go well with venison and ostrich steaks, roasted lamb shank and springbok Carpaccio.